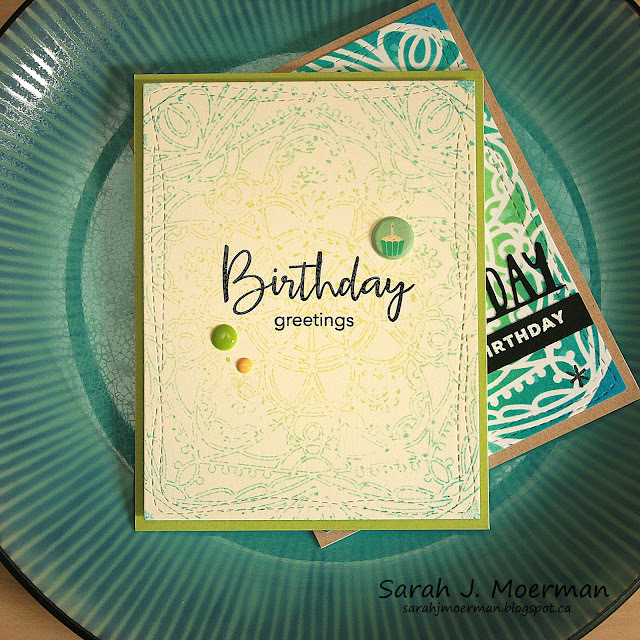 I'm popping by to announce the winner of the fabulous Simon Says Stamp August 2017 Card Kit: Together and to share a couple of cards made using Simon's beautiful Star Medallion Stencil. 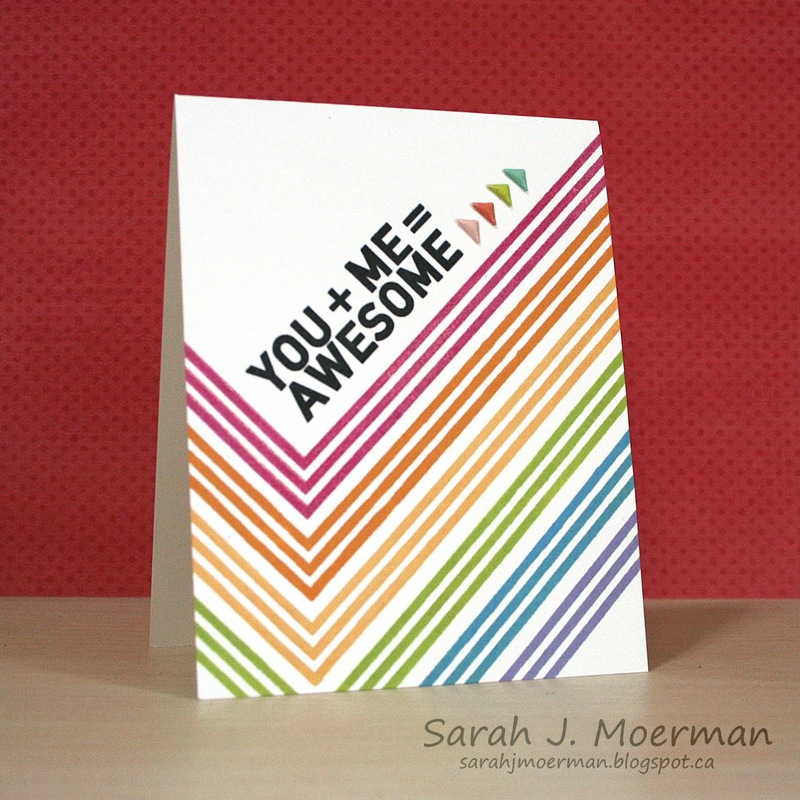 Your card is awesome!! Love the stamp set in this kit. Thanks for sharing. Congrats Diane! Please message me via the contact me button on my side bar with your mailing info by next Friday to claim your prize! Now to share a couple of cards! For these cards I paired Simon's Star Medallion Stencil with Distress Oxide Inks (supply list below) and got two very different looks. This first card is very bold and was created by ink blending the Distress Oxide Inks over the stencil with Mini Ink Blending Tools. I then spritzed some water drops on top and removed them with a paper towel. The panel was die cut using one of Simon's Wonky Rectangles Dies and adhered to a notecard made from a piece of Neenah Desert Storm Cardstock. 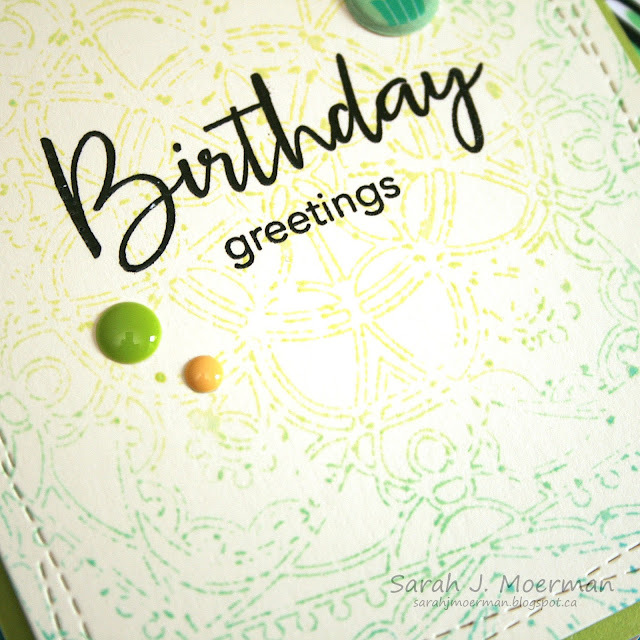 The greeting combines Simon's Big Day Die and a white heat embossed sentiment from Simon's Big Birthday Wishes Stamp Set. I also added a few of the asterisk stamps from Simon's Hello Beautiful Stamp Set. I love that the ink all pooled at the edges, creating an outline of the stencil's design. I'm going to have to play with this technique some more! After diecutting this panel with one of Simon's Wonky Rectangles Dies, I stamped a sentiment from Simon's Thoughtful Messages Stamp Set with Versafine Onyx Black Ink and clear heat embossed it. Using fun foam and an adhesive runner, I adhered the panel to a notecard created from Simon's Green Apple Cardstock. Finally, I added a My Mind's Eye Hooray Puffy Sticker and and a couple of enamel dots. That's it for me today. I hope you have a wonderful weekend! I'm back with a final card featuring the fabulous Simon Says Stamp August 2017 Card Kit: Together. 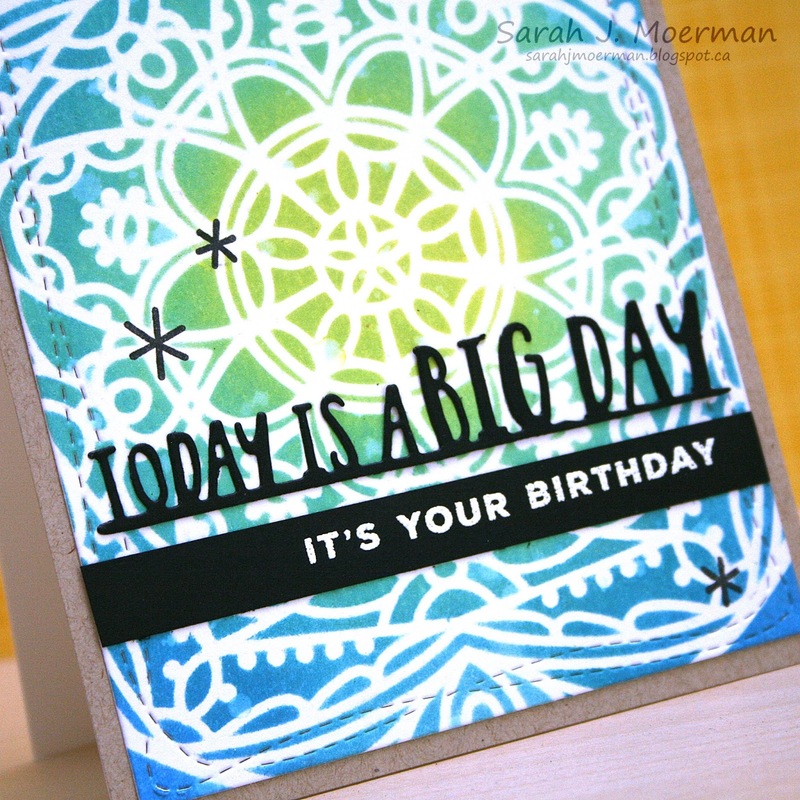 Using the MISTI Stamping Tool made it easy to stamp the patterned rainbow with various inks from Simon Says Stamp. I added a bold sentiment from Simon's You + ME Stamp Set and a few Pinkfresh Studio Live More Puff Stickers to finish off this clean and simple, yet bold, card. 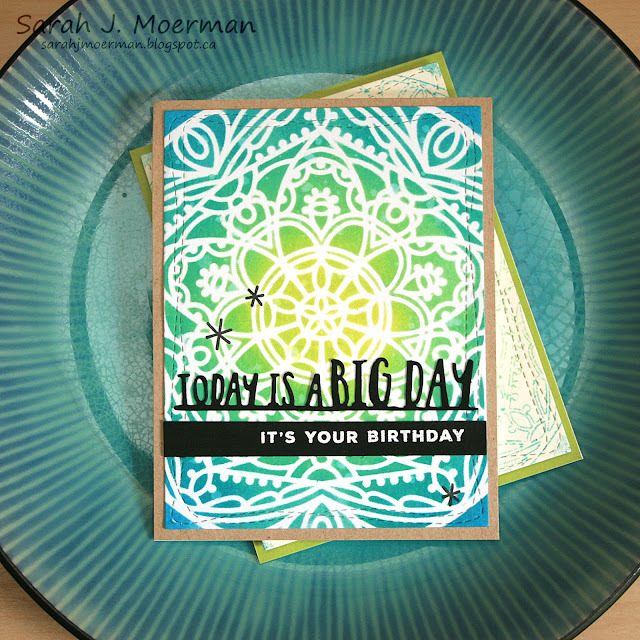 If you're interested, you can pick up the Simon Says Stamp August Card Kit for just $29.99 + shipping. If you'd like to receive this kit and future kits for only $24.95 + shipping per month, you can SUBSCRIBE HERE. Heidi, owner of Simon Says Stamp, has given me an extra Simon Says Stamp August Card Kit to pass on to one of you! Just leave a comment on any or all of my August 2017 Card Kit posts and I'll announce a winner Friday, July 28th.